Here's a little sneak peak of some new stamps from STAMPlorations. The set is called Sugar Rush and it's available to STAMPlorations Stamp Club members - check out the Stamp Club details here. I couldn't resist turning the images into festive treats! Pop on over to the STAMPlorations blog for more inspiration using this fabulous set! Did you know there's a design team call for STAMPlorations challenges? There's still time to apply - click here for all the details. Absolutely positively AWESOME cards, Shirley! I still can't get over the first card -- the sentiment combo you created is pure GENIUS! 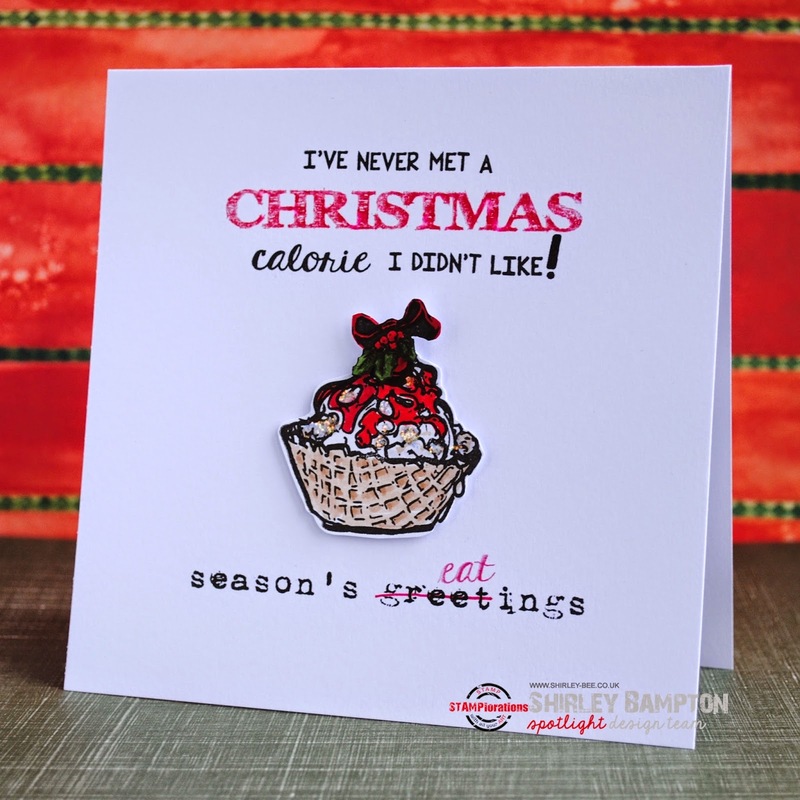 I love the food theme on both of your cards, Shirley! Beautiful bold colors on your images and the sentiment on your first card is fabulous! Hehe love the sentiment you created on your first card. They are both brilliant! Great card! I love the sentiment background! Lots of fun in these cards, Shirley. Yummy, yummy, yummy! Your cards are just as sweet as the ice cream that I will be eating within minutes of spying these delicious creations! Did you know that if you eat ice cream standing up it has zero calories? Yeah, I know...only in our dreams! Love that sentiment. How true it is! Tree of Hearts - Merry Christmas!